In today’s day and age everything has shifted online, dresses are shopped online, gadgets, books, food, everything. In fact marriages are no more made in heaven, they are designed, schemed and tailored on online portals. The world has come closer for sure, everything has become accessible and has taken life’s comfort to another level altogether. Keeping all of that aside, I guess I still miss those times when we had an array of lanes where commodities could be touched and tried, unlike the zooming of fabrics online to judge the material. It’s more like, travelling the world through your system but it’s so much more fun to actually see those places, to stand on that ground, to smell the air and to physically experience life there. The idea of small towns, intricate lanes, wooden bridges, handwritten letters, a cycle ride on a rugged road, in short, things from the past fascinate me till date. If you too like such old times, you should definitely make it to the souks when you visit Dubai. Get your Dubai visa and set off to this mystical land where you can hand pick the spices, fabrics, gold, examine it with your naked eyes, wear it, smell it and just take in the entire feel of the authentic place. Name a material and you will find it. 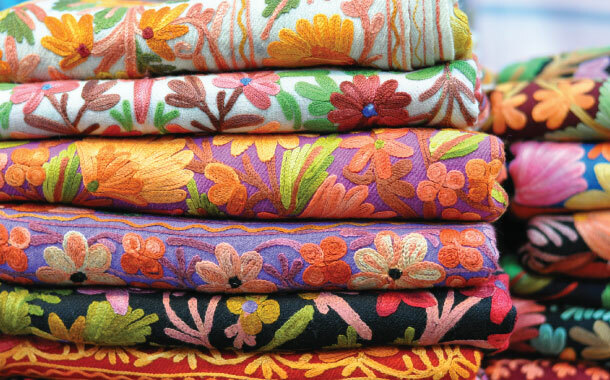 Indulge in the act of fabric hunting. I’m sure, you will be fascinated and enlightened by the variety that there is, in the textile souk. Walk shop to shop, let your eyes behold the beauty on display. The market has been renovated but it still has a touch of the historic times. If you thought that they only have fabrics of all kinds, then you are mistaken. Not only do they have variety of materials, but also dress makers who can design and recreate trending fashion, and make magic with their skillfull hands. I bet, you won’t leave the place until you literally drop while you shop. Enrich your experience, and luggage when you visit Dubai. No wonder, Dubai is called as the city of Gold. 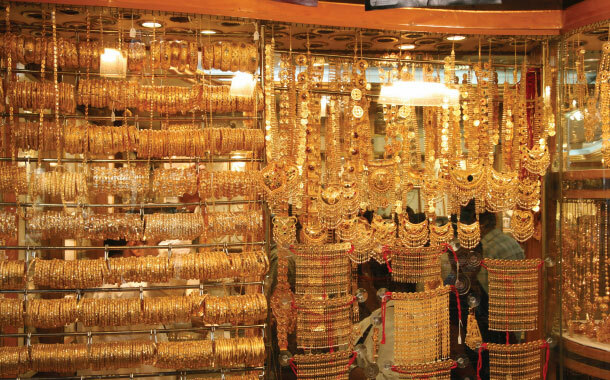 Everything that glitters in the Gold souk is not just gold, but beauty. Your eyes will drop in exhaustion but the display shall not cease. If you intend to buy two, you will end up buying ten. Don’t worry, you will always have offers to your benefit. Just make sure, you have entered each shop, for you wouldn’t want to regret later. When you’ll go back, you’ll have lots to exhibit. Do you want to experience a sensory bliss? Walk into to the Spice Souk. You will stand in awe, and feel the aromas tantalising your senses. 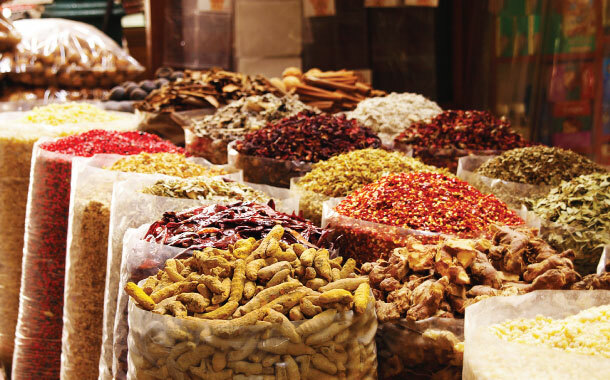 The variety of spices that you will find here will take you by surprise. If you want to add spice to your life, load your self with these natural, unadulterated spices. Food, then on, will never be the same. Your palate will appreciate the taste, and your taste buds will experience a new high. Do return back with a lot of spices, for your mundane life needs that little spark. These are the main souks in Dubai, but that’s not the end to it. There are yet many places to visit that I haven’t mentioned. When you visit Dubai, do discover the others too, for it’s worthwhile. So take a trip down memory lane with our Dubai holiday packages.